Zidane is back at Real Madrid, according to several sources in Spain. 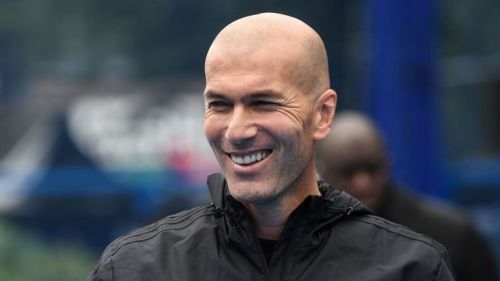 According to the reputed Spanish media outlet AS and several other sources from Spain, former Real Madrid manager, Zinedine Zidane, is set to take over the managerial role at the Bernabeu from Santiago Solari, 284 days after shockingly resigning from his post following the third successive Champions League triumph during his helm at the club. The Frenchman took over the Real Madrid job after Rafa Benitez was sacked midway through the 2015/16 season. During his tenure at the Bernabeu, the 42-year-old led the Los Blancos to 9 major collective honors, including three Champions League and a La Liga title. In the 149 matches he managed for the Galacticos, the former midfield sensation had a laudable record with 104 wins, 29 draws and just 16 defeats during the two-and-a-half-year tenure at the Bernabeu touchline. Following the third successive Champions League triumph in Kiev during his helm, the Frenchman shockingly resigned from his post, leaving the Real Madrid fans in despair, across the world. Following the departures of Zinedine Zidane and the club's highest-ever goalscorer, Cristiano Ronaldo, who joined Juventus last summer, the Los Blancos had a dreadful start to their season with a UEFA Super Cup defeat at the hands of their local rivals, Atletico Madrid. And since then, the current season has been nothing but misery for the 13-time European champions. Having ruined their season within a week, the Royal Whites crashed out of the Copa del Rey and the UEFA Champions League. On the other hand, the 33-time La Liga champions currently occupy the third spot in the La Liga table - 12 points adrift of the leaders and their eternal rivals, FC Barcelona. Zidane's return at the Bernabeu will be a huge boost for the side which has been dominating European football but have struggled lately. Several sources from Spain are claiming that the Frenchman will be officially announced as the Real Madrid boss tomorrow. The Frenchman will take over the Madrid duty, at least, until the end of the season before deciding on his future ahead. Zinedine Zidane to Real Madrid: Masterstroke or mistake?